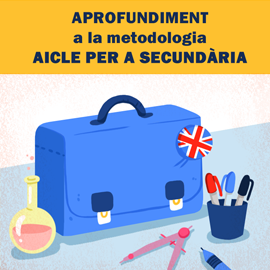 Curs d'iniciació a la metodologia AICLE a l'etapa d'Educació Primària. 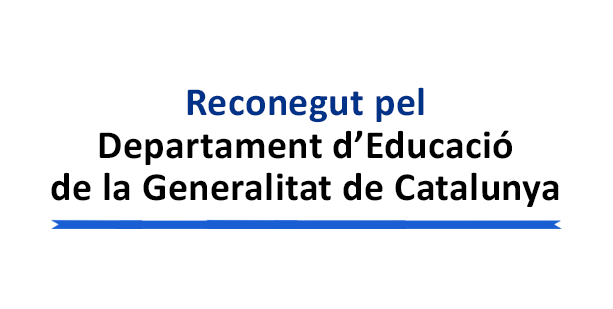 En aquest curs els alumnes treballaran amb els fonaments bàsics de la metodologia AICLE i realitzaran activitats pràctiques relacionades amb els continguts teòrics. Initial CLIL course addressed to Primary teachers. During this course, students will learn some basic principles of CLIL methodology and they will also practice the theory throughout some practical activities. 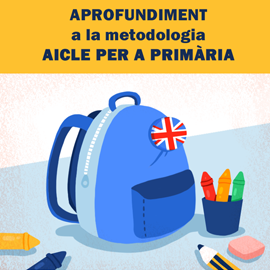 El curs Iniciació a la metodologia AICLE per a primària comptabilitza per a acreditar el perfil lingüístic en llengua estrangera (anglès, francès, italià, alemany) (AICLE), a partir de la publicació de la nova resolució del 26 d'abril dels perfils professionals de llocs de treballs específics en centres educatius públics. 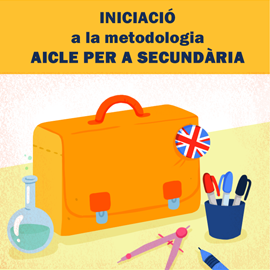 Adquirir els principals conceptes relacionats amb la metodologia AICLE. Aprendre a emprar els andamiatges (scaffolding) per donar suport a la part lingüística. Distinguir entre tasques de ¨input¨ i ¨output¨ i saber quan emprar-les. To learn how to teach non-linguistic areas or subjects in the English language. To learn the key concepts related to CLIL methodology. To learn how to use scaffolding strategies in order to support the language learning process. To distinguish between input and output. To be able to use both of them. To design a CLIL activity. 1. Module 1. Hello, CLIL! Part 1. Introduction (The importance of the English Language in today’s world; What is the Initial methodology CLIL for primary school course? ; How does the Initial methodology CLIL for primary school course works?). Part 2. Language acquisition and foreign Language learning (An introduction to Language acquisition; Theories related to foreign Language learning; Acquisition of a foreign language in multilingual environments). Part 5. Using languages to learn and learning to use languages (Conclusion; Resources). Part 1. 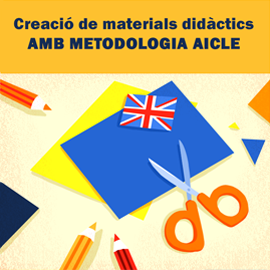 Introduction (What is the Initial methodology CLIL for primary school course? 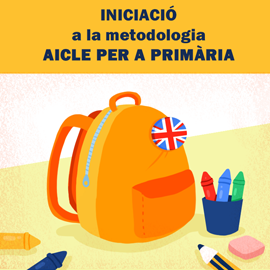 ; How does the Initial methodology CLIL for primary school course works?). Part 2. The 4Cs framework (Content; Communication; Cognition; Culture). Part 3. Olive Meyer’s strategies for CLIL (Rich input; Scaffolding learning; The cultural dimension; High-order thinking skills. Bloom’s taxonomy). Part 2. Scaffolding and tips for good Scaffolding (Introduction to scaffolding; Tips for good scaffolding). Part 4. CLIL task and Conclusions (Examples of CLIL task; Conclusion: debate on the Forum).